Lufthansa says some 113,000 passengers will be affected by 929 domestic and international flight cancellations Monday on the airline. It’s due to all-day walkouts at three German airports staged by a union-representing cabin crew. The union has called on all members to walk out in Frankfurt, Dusseldorf and Munich today. The flight cancellations started on Friday and are expected to continue for a week, rotating around different airports, though they took a break on Sunday. 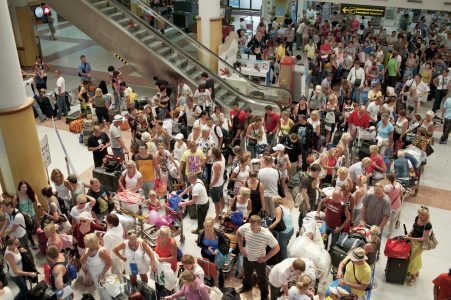 More than 500 flights were cancelled on Saturday, for example, in what could become the longest airline strike of all time.To read more at the Huffington Post, click here.